Daisychains, also known as Hyperlinks, are a useful function in Maze to aid the user in finding related data. These special fields can be found in most display screens including grid screens. 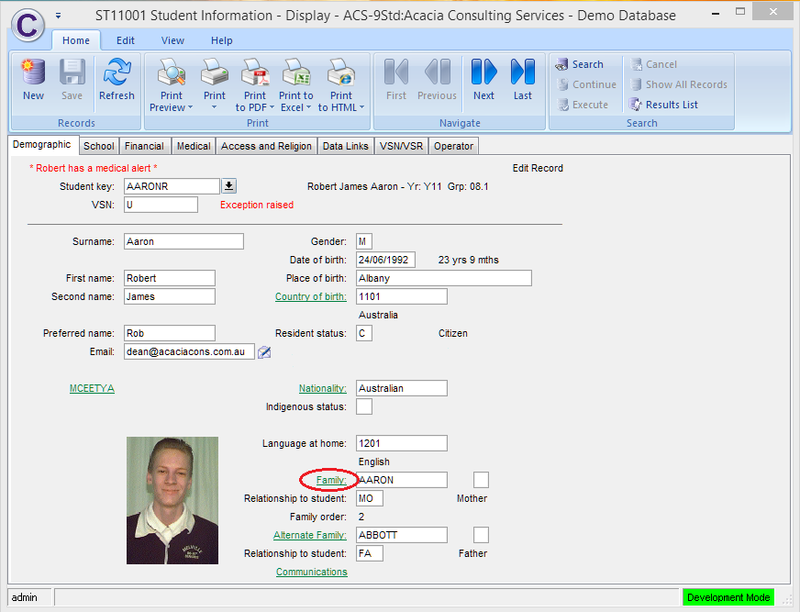 If any field name or descriptive text is green and underlined, and the cursor changes to a hand () when you move your cursor over it, that field is related to another table in the database. Click the hand on the field name to daisychain to related information in another screen. The first time you daisychain, a new display window is opened and your original display window is left open in the background. Close the daisychain window to return to the original display window. If you need to daisychain to several different screens you may find it quicker to leave the daisychain window open and simply switch back to the original window. When you daisychain again the related information simply replaces the contents of the daisychain window. In grid screens the daisychain link is the column heading. In this example we have daisychained from the Transaction History Display tab of the CR11002 Creditor Financial Details screen by clicking on the Reference column heading. 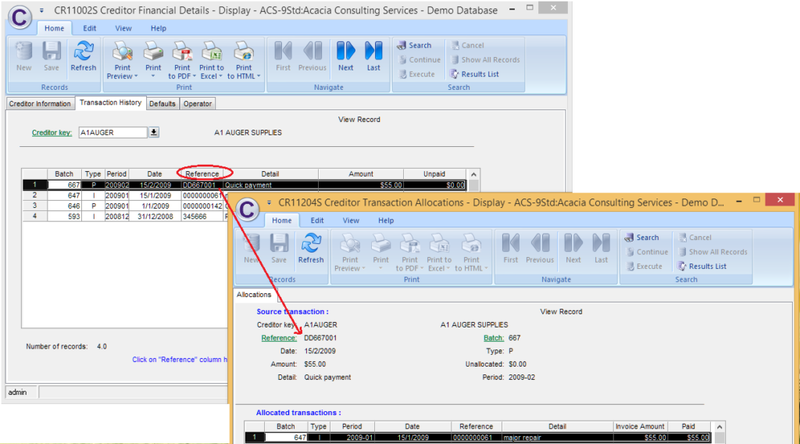 It has opened up the CR11204 Creditor Allocation Transactions screen for the selected record. 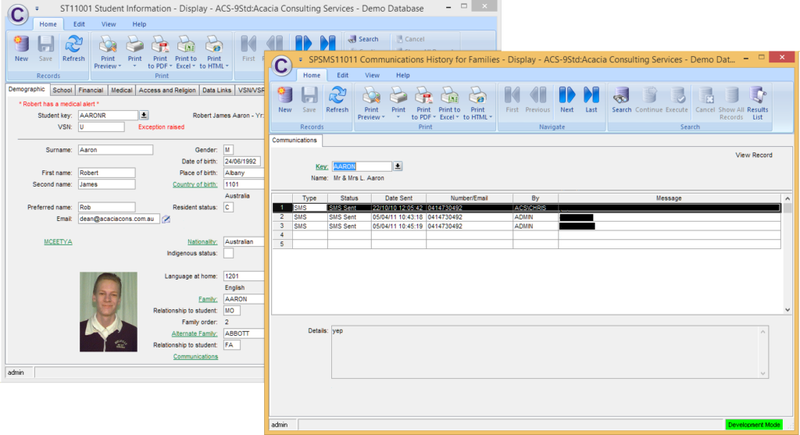 Just like previously explained for standard display screens, if the cursor changes to a hand ( ) when you move your cursor over any column heading of a grid screen, that field can be used to daisychain to another screen. Note, however, that these column headings are not shown in green text.